Calderdale Council’s People’s Commission will be holding the next public consultation event from 4pm – 6pm on Tuesday 19 August 2014 at Clay House, West Vale. Chair of the People’s Commission, Professor Andrew Kerslake said: “The public consultation events we have held so far have given us the opportunity to hear about people’s own experiences of how current services are delivered, how things could be improved and their concerns about any changes. Anyone can come along to the event at West Vale, however if you aren’t able to make it there are other opportunities to get involved. A further series of evening meetings are currently being planned for September in Hebden Bridge, Halifax and Todmorden. Other locations are also being considered depending on demand. The panel will review people’s comments until the Commission closes in the autumn. Calderdale’s Clinical Commissioning Group (CCG) is currently reviewing local health services and the People’s Commission will give local people an opportunity to debate what services are needed now and in the future. 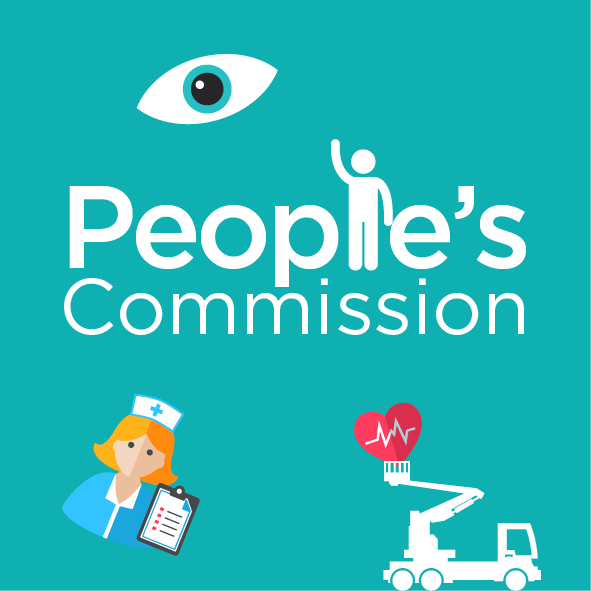 The People’s Commission has an evidence gathering panel which includes Councillors from the Council’s three main political parties, and an independent Chair, Professor Andrew Kerslake, an Associate Director of the Institute of Public Care and an Emeritus Professor at Oxford Brookes University. The People’s Commission is expected to report its recommendations to full Council and the CCG in autumn 2014. This entry was posted in All news, Council and democracy, Health, Social care. Bookmark the permalink.